At River Medical we have focused on implementing the practices of fairness, transparency and accountability to protect your privacy. We respect your trust in us, to use, store and share your information. In this Privacy Statement we explain how we collect personal information about you, how we use it and how you can communicate with us regarding the use of your data. All personal information we collect about you will be processed in accordance with The EU General Data Protection Regulation (Regulation EU 2016/79), implementation date 25th May 2018, which legislation will replace the 1998 Data Protection Act. 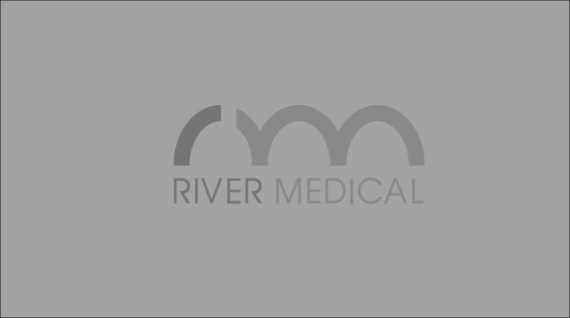 In accordance with The EU General Data Protection Regulation River Medical is identified as a Data Controller with regard to how we collect and further process your personal information. To use your personal information lawfully, we rely on one or more of the following legal bases: Consent, Explicit Consent, Contractual Necessity, Legal Obligation, Vital interests, Public Interest, Legitimate Interest. When you browse our website, we may ask for personal information such as your name, email address. We may also collect information about you when you use the internet (such as the website you came from, your IP address, domain types, such as.co.uk and.com. ), your browser type, the country where your internet service provider is located. Our website uses “cookie” technology. A cookie is a little piece of text that the server places on your device when you visit our website. They help us make the site work better for you. We also use Google Analytics. We use your personal data to provide you with information on our services when we receive an enquiry from you. When you consent to receiving our newsletter and marketing material we will process your personal information to keep you informed of events, products and services which we consider may be of interest to you. We process your personal information to facilitate the delivery of our services and procedures. We also process your personal information to assess your suitability for procedures. When you enter into a contract with River Medical it will be necessary for us to process your personal information in accordance with our legal obligations. When River Medical enter into a contract with a third party in relation to your procedure it will be necessary to process your personal information. Your personal information will also be used for invoicing purposes. We collect personal data that we receive directly from you when you visit our website, submit an on line enquiry form, book a consultation, subscribe to our newsletter, email us, and when you telephone us. We collect your personal information when you also visit our office and complete any of our enquiry or registration forms, we also receive these documents by post. We also collect your personal information through our social media platforms, Facebook, Instagram, Twitter. Your information may also be collected by our cctv network. In order to provide the best possible service to you we need to process particular information about you, we will not collect any excessive information, such as the following. (Please note that the list below is not exhaustive). Name, age, date of birth, gender, photographs, contact details, emergency contact details, details relating to physical and mental health and financial. We do not share or disclose any of your personal information without your consent. When we are legally obliged to share your personal information we will meet those requirements. It may also be necessary to share your personal information in accordance with our contractual requirements with partners such as hospitals and laboratories. We retain your personal information for as long as necessary to enable us to provide our services and products to you. We also retain your personal information to meet our legal and regulatory requirements. You have the following rights under the EU GDPR, in certain circumstances and subject to certain exemptions, in relation to your personal data. Right of Access: You have the right to request a copy of the personal data that we hold about you, together with other information about our processing of that personal data. Right to Rectification: You have the right to request that any inaccurate data that is held about you is corrected or if we have incomplete information you may request that we update the information such that it is complete. Right to Erasure: You have the right to request us to delete personal data that we hold about you. This is sometimes known as the right to be forgotten. Right to restriction of processing or to object :you have the right to request that we no longer process your personal data for particular purposes, or to object to our processing of your personal data for particular purposes. Right to Data Portability: You have the right to request us to provide you, or a third party, with a copy of your personal information in a structured, commonly used machine-readable format. If we are processing personal information based on your consent or explicit consent, you may withdraw that consent at any time. This does not affect the lawfulness of processing which took place prior to its withdrawal. If you wish to make a complaint about the use of your personal information you may do so in person, by telephone, in writing and by email. Please be assured that all complaints received will be fully investigated.